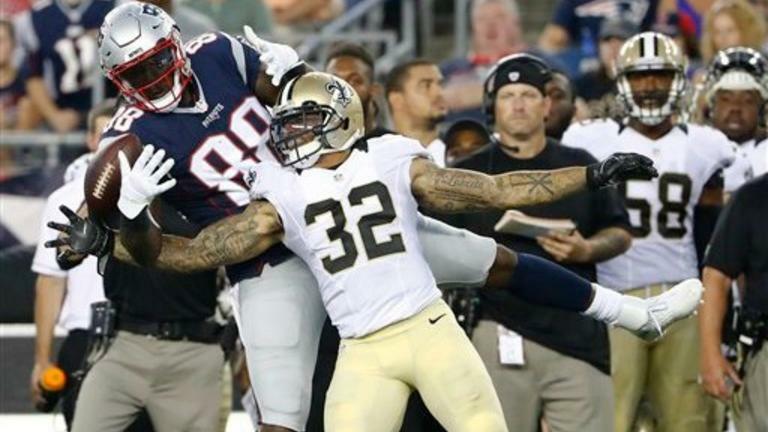 What will happen when the New Orleans Saints meet the New England Patriots? The answer to that question would have been far more frightening for Saints fans if New England hadn’t stumbled at the start of this season. But the Patriots vs Saints odds are still something to worry about, especially for New Orleans fans who know that Zach Strief probably won’t recover from his injury in time to take on New England on Sunday. The outcome of the Mercedes-Benz Superdome game will determine the trajectory that the New Orleans Saints will take from that point onward. Right now, it looks like Rookie Ryan Ramczyk and Senio Kelemete will have a chance to play at left and right tackle on Sunday. Bryce Harris is also a consideration. The left and right tackle positions are a cause for concern because none of the athletes being deployed in those areas have much experience there. But Drew Brees has been quick to quell some of those concerns. Brees trusts in his team to adapt to the situation regardless of the players they choose to fill those positions. Brees suggested that the Saints were working on a plan that would be ready for deployment by Sunday. The New England Patriots have had their defensive problems exposed. So clearly Brees knows that his side has a decent shot of cutting through them to achieve a victory, especially if Kelemete and Harris perform as expected. Interestingly enough, Brees doesn’t think that the Patriots’ recent stumbles mean much in the bigger picture. He inferred in an interview that New England was just as dangerous as they had ever been. Brees was weary of the strategies Bill Belichick and Matt Patricia were already cooking up in preparation for Sunday. The athlete knows that there is no room for error in a game against an opponent like New England. But Brees doesn’t think that his side can do much to prepare for the Sunday clash. He agrees that there is merit in watching films and studying New England’s recent games. But Brees also knows that Bill and his ilk are cooking up something special for the Saints, and there is no way to predict what New Orleans will be up against when they step onto the field on Sunday. As far as Brees is concerned, New Orleans will only survive the Sunday match if they go into it prepared to fight against the unexpected. Ramczyk has a good reason to be afraid. He has made numerous improvements since he joined the Saints, but there is no way of telling how he will stack up against the talent on the Patriots’ side. It wouldn’t take much for a couple of fumbles on the part of Ramczyk to sink the Saints’ chances. Ramczyk has endeavored to remain optimistic. His intention is to approach the game like any other and to do his job to the best of his ability. The Saints finished 7-9 last time and they did not even glimpse the playoffs. They cannot afford to follow that same trajectory. It will be their objective to avoid the 0-2 starts that have plagued them in previous years.